Little Rocks can cause BIG problems! That’s why windshield damage is the number one comprehensive auto insurance claim. So if that little rock caused you a big problem, turn to Consumer Glass. 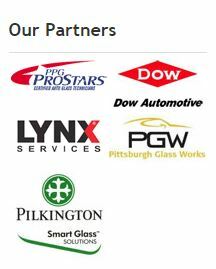 We are experienced auto glass professionals who will fix your windshield problem the right way. Save your windshield and your money with a professional repair. It takes about 20 minutes, and youcan drive your car away. If the damage spreads, you will need a new windshield, and that could cost hundreds. A professional windshield repair restores the structural integrity of your windshield. Most comprehensive insurance policies cover the cost of windshield repair. Remember the key word is repair! Windshield repairs are done to prevent the chip/crack from spreading and also to assure the structural integrity of the glass. There will always be a cosmetic blemish at the site of the repair. Best results are obtained when damaged is recent, the point of impact is small, the cracks around the damage area are small, and there is no foreign matter in the damaged area. In some cases, the attempt to repair a windshield will result in the chip or crack becoming larger. Consumer Glass is not responsible for such damage. Windshield repairs are warranted against spreading for the life of the vehicle or the length of the warranty, whichever is shorter. If the break should spread, the new windshield must be purchased and installed by Consumer Glass. If your insurance company paid for the repair, any credit will be applied to the portion of the charges to be paid by the insurance company for the new glass. This warranty is not transferable and applies as long as you own the vehicle on which the repairs are made. In order to exercise your rights under this Limited Warranty, you must take your vehicle to Consumer Glass, together with a copy of the invoice or other proof of installation by Consumer Glass. In no event shall Consumer Glass be liable for incidental or consequential damages.